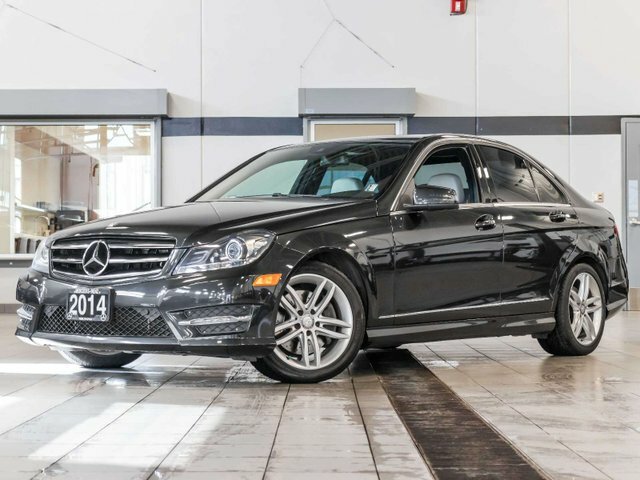 2014 C300 4Matic with all wheel drive and only 85,908 kms. 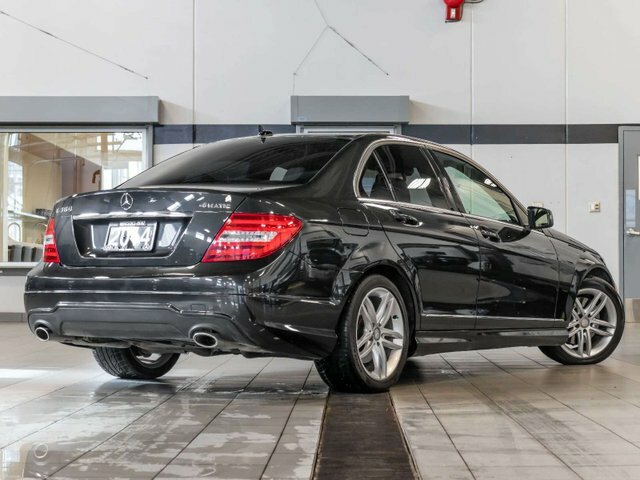 Originally purchased new from our dealership in December 2013 for an MSRP of $51,410 and recently traded back here to Kelowna Mercedes-Benz. Comes in a Magnetite Black Metallic exterior with Alpaca Grey leather upholstery and Dark Ash Wood trim. 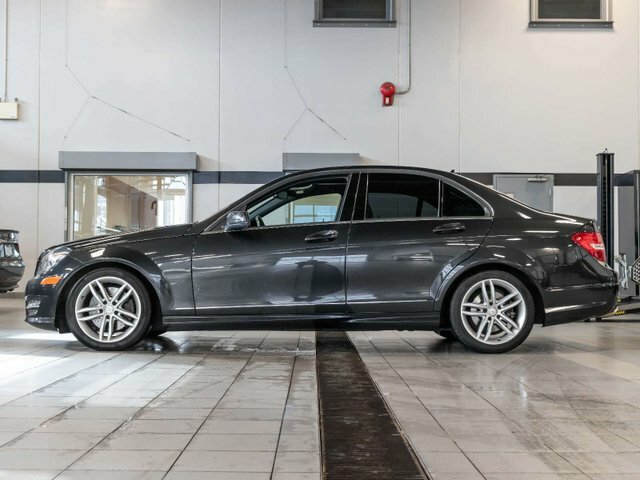 This sedan was the previous owner’s introduction to the brand, and they loved this car so much that they decided to upgrade to a newer model year 2018 C300. Powering this C300 is a 3.5L V6 which produces 248hp and 251lb-ft of torque paired with a 7G-TRONIC PLUS automatic transmission. This vehicle has never been smoked in, and has never been registered outside of British Columbia. Factory ordered options and packages include: Avantgarde Edition Package: Tier 1 ($1,700) – LED Daytime Running Lights, Sliding Glass Sunroof w/ Pop-up, Heated Front Seats, Sport Suspension, Black Fabric Roof Liner, AMG Styling Package, Sport Package and Avantgarde line which includes Avantgarde grille. Avantgarde Edition Package: Tier 2 ($2,200) – Rear View Camera, Auto-Dimming and Power Folding Mirrors, Sirius Satellite Radio, COMAND Navigation, Integrated Garage Door Opener, DVD Player and Electronic Compass. Active Bi-Xenon Headlamps with Adaptive Highbeam Assist ($1,000). 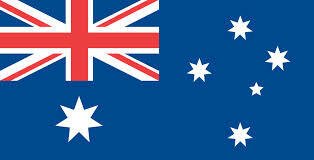 Driving Assistance Package ($800) – Passive Blind Spot Assist and Passive Lane Keeping Assist. Magnetite Black Metallic ($890). PARKTRONIC with Parking Guidance ($900). Media Interface ($375). Standard key features include – Multifunction Steering Wheel, THERMATIC Automatic Climate Control, Cruise Control and Tire Pressure Loss Monitoring System. Pre-owned vehicle tax rate is determined by the purchasers home province residence. Contact the dealership for your personal video walk-around or any additional information.